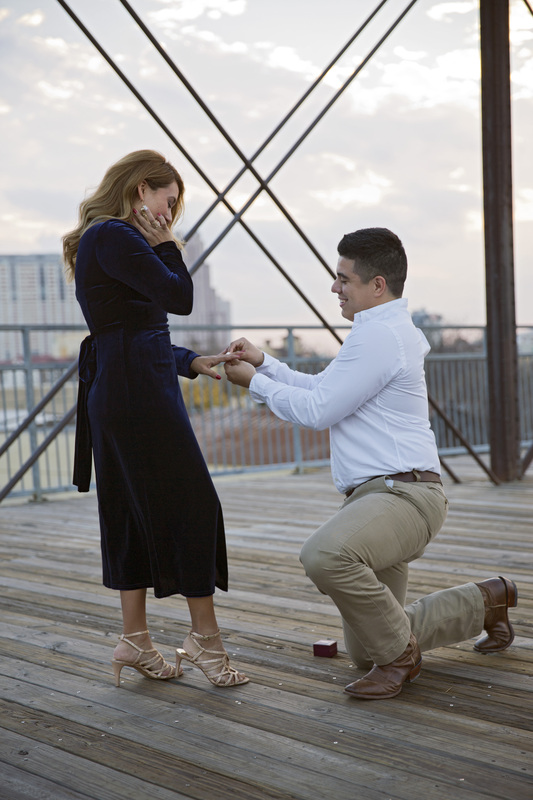 One of the biggest and most memorable moments for any girl is the day she gets proposed to. 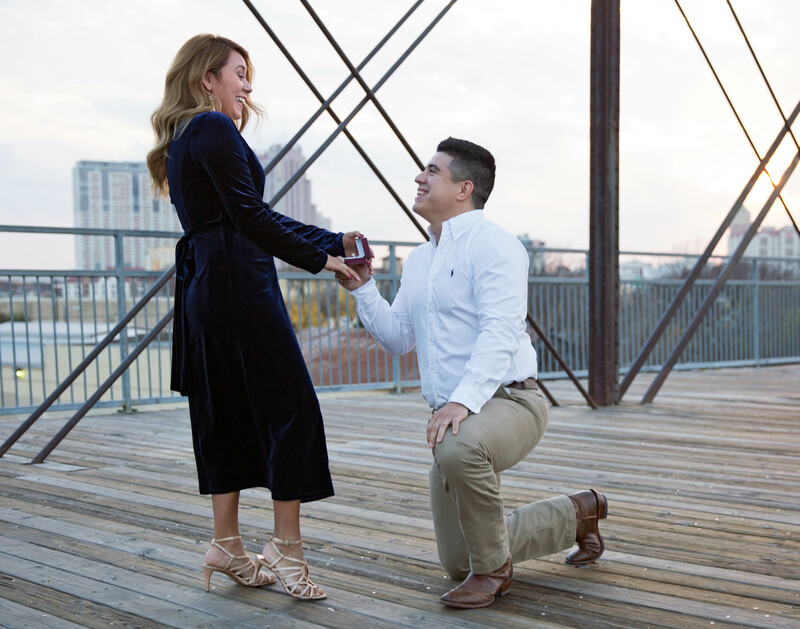 For a man, the biggest decision he will ever make in his life is to propose to a woman. Michael and I actually went to high school together and attended the same college, but we only remained friends infrequently running into each other. It wasn’t until a year after I graduated from college that we started just texting and talking occasionally. After several months of getting to know each other Michael asked me out on an official date to an Aaron Watson concert. We had such an amazing time dancing the night away and I think it was in that moment we knew we were heading somewhere. 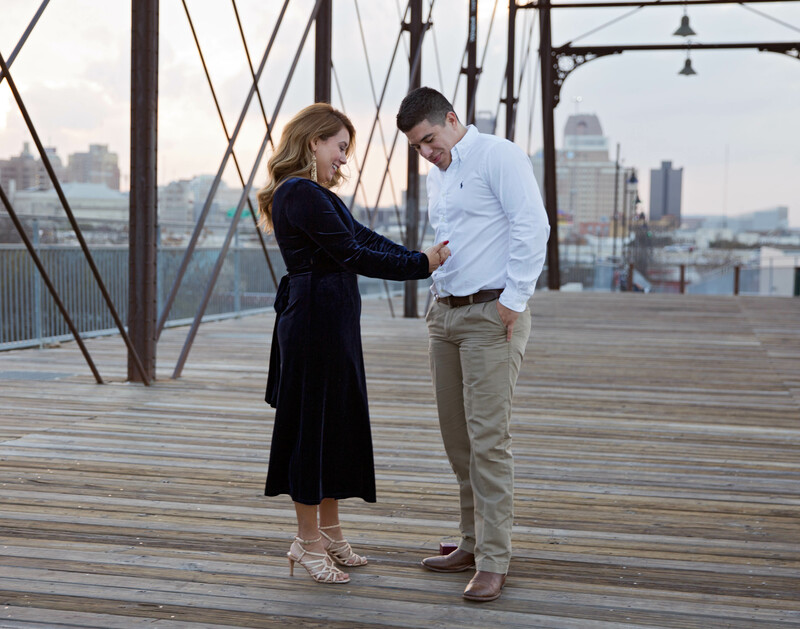 With our work and coaching schedule in mind we wanted to have a little getaway vacation to spend some quality time together so we planned a trip to San Antonio about three months ago. We decided to stay at the Omni Resort right off the River walk to enjoy the Christmas lights and late night strolls. Being a fashion and lifestyle blogger I gave Michael a heads up that I wanted to take some photos of a couple of outfits for my blog posts. 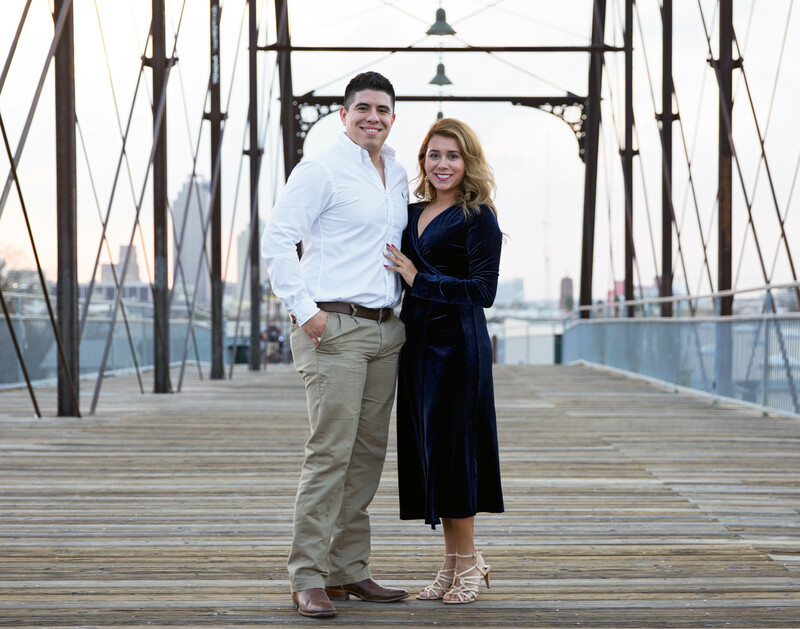 When we got to San Antonio I briefly told him where I wanted to take photos and that I really needed to take some photos for this beautiful velvet dress that I had received from a company to feature on my blog. The second day in San Antonio he told me during breakfast that he saw this nice place (Hays Bridge) on his twitter feed. He suggested that maybe it would be a nice place to take pictures of my dress and he even offered to get dressed up so we could take photos together. I didn’t find this odd, because I had been bugging him the week before that I wanted to take nice formal pictures together for the holidays so I jumped with joy when he said he would get dressed too. He actually had the location and how he would get me there planned out already, very clever babe. Later that day we took a couple of pictures of my outfits and he is probably shaking his head at me right now for publically mentioning that he was taking my photos, LOL, but he was and I am thankful that he did. 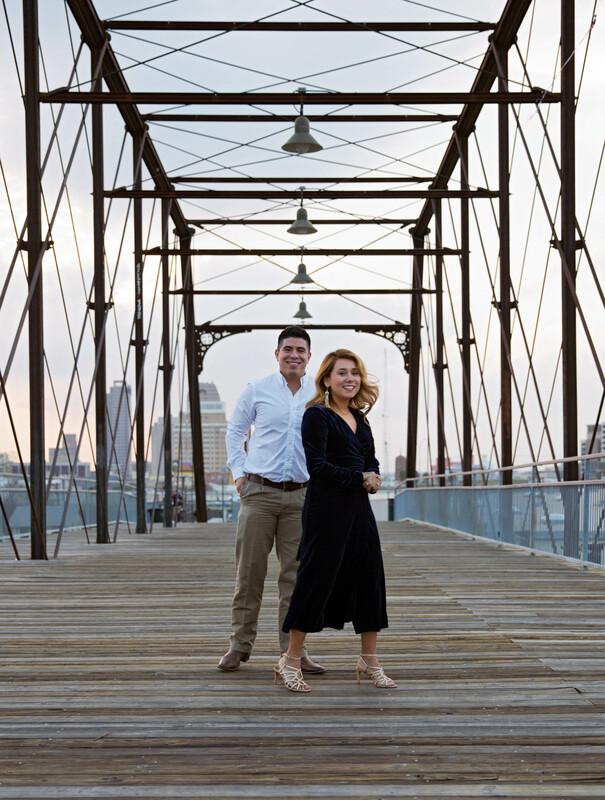 Once I got my daily outfits out of the way I changed into my velvet dress and he got an Uber driver to take us to the Hays Street Bridge. I still had no clue. When we got to the Bridge we were both a little unsure if this was the place we saw, but once we walked up the stairs and got on the bridge we were both blown away with how amazing the city looked like from our view. We both starred into the city for a moment and before he knew it I handed my camera to him and headed to strike a pose for my outfit, after all I thought I was headed there for a photo shoot. LOL. After a couple of shots we walked down the bridge and we were just admiring how beautiful the day was. The weather was perfect and it was golden hour (sunset). 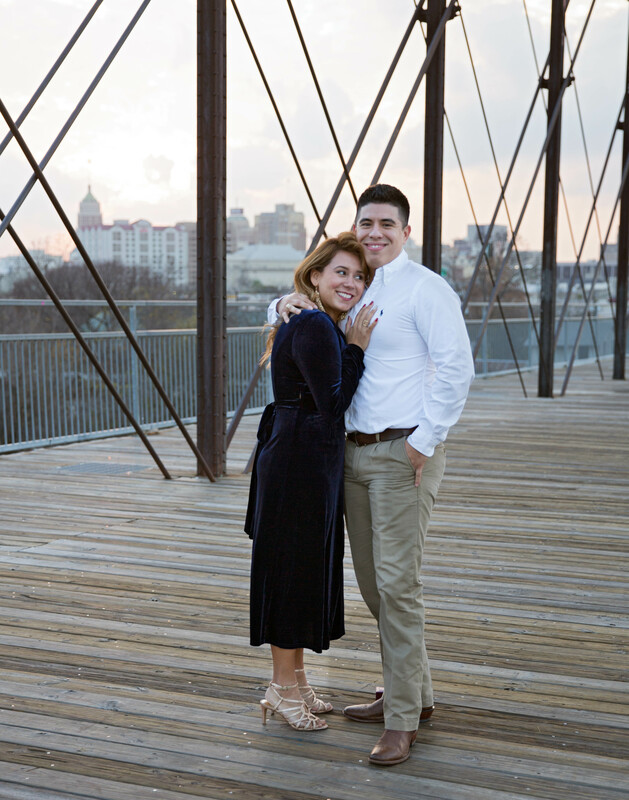 At that moment I saw a lady sitting down taking photos of a little girl and I approached her to ask her if it would be okay to take photos of Michael and I on the bridge and the beautiful view of the city. She hesitated a little, but took my camera and took a shot. She then said, “ I’m sorry sir, I really like her dress and I am a photographer, can you step back so I can take photos of her with my camera?” Michael then stepped back and I posed for her. Like I said I really thought I was there for a photo shoot ha-ha. Little did I know Michael hired her to capture this moment. While posing for the photo I felt Michael reach for my hand behind me and when I turned around I saw him on his knee and he asked me, “Robin, will you marry me?” I was shaking and completely in AAH as I said, “ARE YOU SERIOUS? 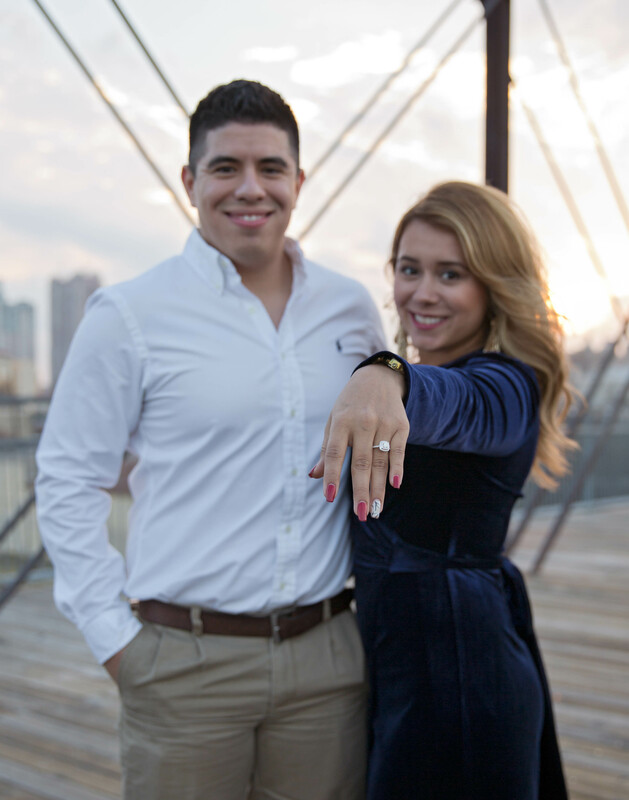 OMG, YES, YES, I want to marry you!” Time felt like it actually stood still for a moment. I could not stop kissing him nor did I want to let him go. I rested my head upon his chest to embrace this moment and I heard his heart beat. I knew at that moment it wasn’t a dream and I knew then and now that this is the man I want to spend the rest of my life with. 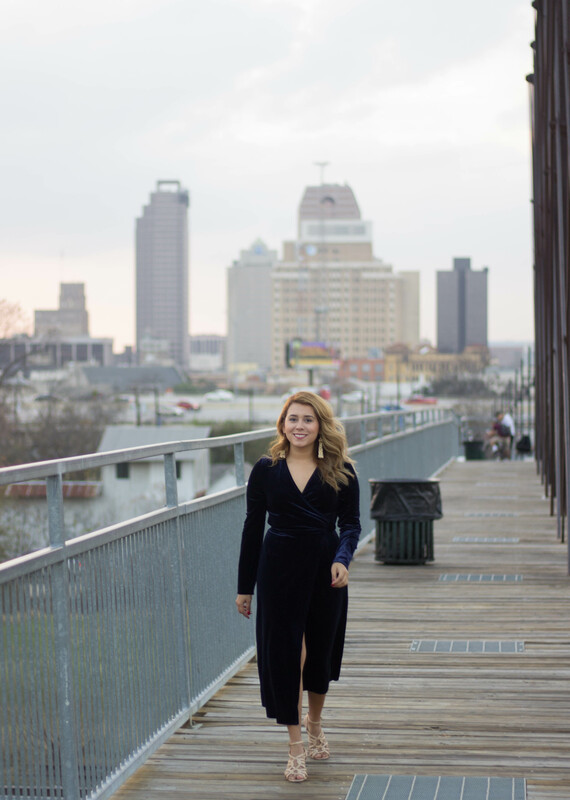 The following velvet dress on this post was sponsored by SheIn. All images, recommendations, and opinions are solely based on my personal views. Thank you sissy! I am so blessed to have you by my side on this journey. I love you! Such a beautiful story, Robin ❤️❤️ Congrats to you both! Thank you Alyssa! I am so glad you enjoyed it. It was a surreal moment for me and I am so happy that I was surprised! Thank you once again and God Bless! Congrats Robin & Michael. May God always be the center of your lives. May He bless you for many years to come. Love the picture of you both kissing. In fact, all pictures are amazingly beautiful. Aww thank you so much!! We are extremely excited and blessed about starting this journey together. such a beautiful story and thoughtful of your fiancé, planning such a great suprise!!! so cute! you look gorgeous!! and your ring is stunning! congrats hun!! What an Amazing day that was for you! I’m so very happy for the Both of you! 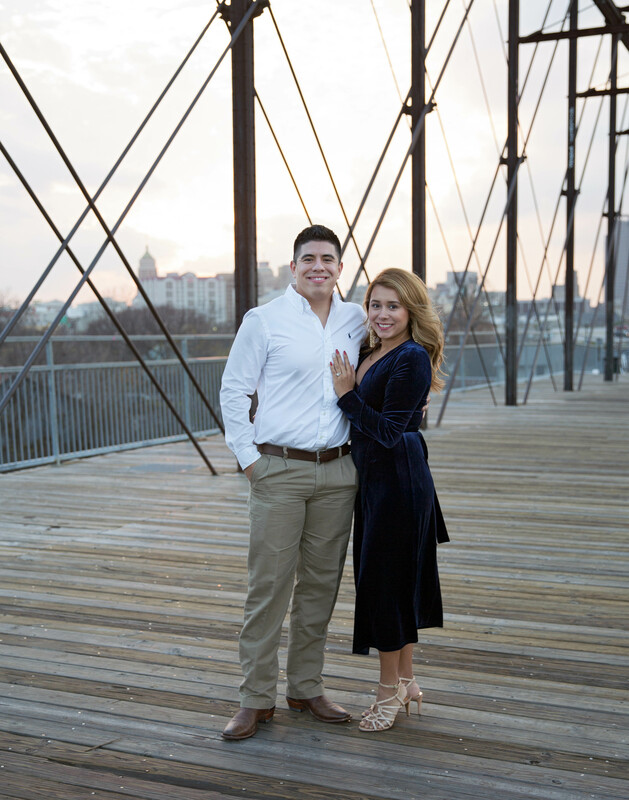 Such a beautiful love story ❤️ We also knew you’d end up here one day…Congratulations! Aww thank you Gina! We are both excited for this journey and I can’t wait to see what the Lord has in store for us.